Landed at 8.30am this morning, got to Niigata just after midday and straight into the buying. This Doitsu Sanke one of three purchased at Tsuna Koi Farm. 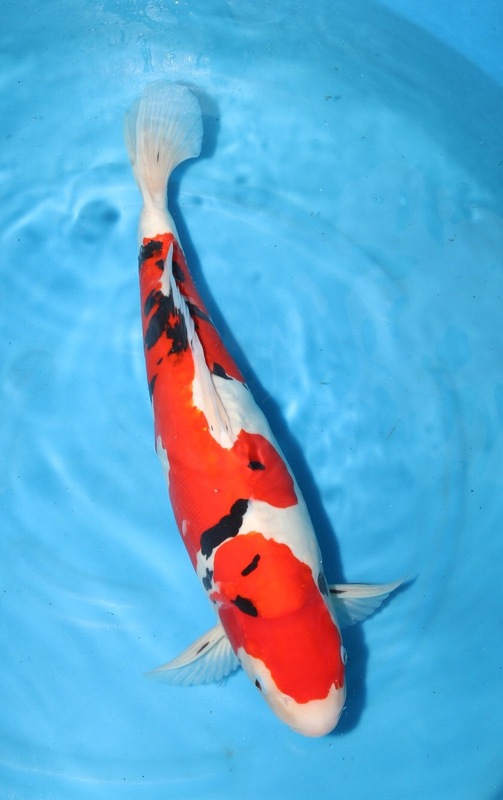 Excellent consistency in the beni throughout the koi, excellent sumi placement,a real show quality Doitsu Sanke. oh and of course female. Now in Japan ! Follow the blog.